Valentine’s Day is a day dedicated to celebrating the virtues of love and the selflessness it often entails. In celebration of Valentine’s Day this year, we want to recognize those who serve as caregivers to their loved ones. 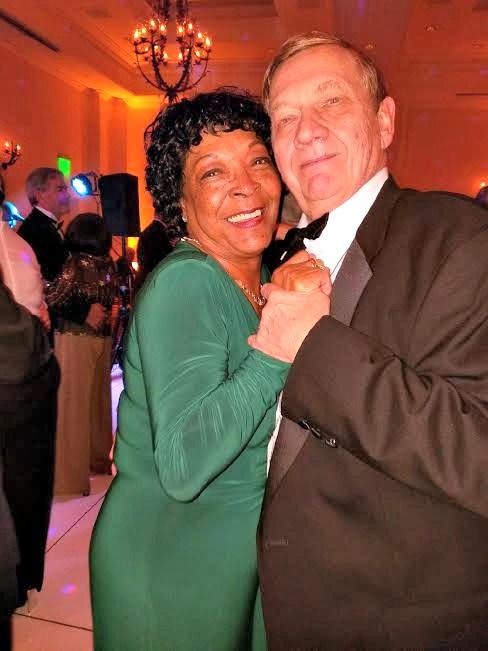 Today, Michael Sulick is going to share a little bit about his journey as a caregiver to his beloved wife, Shirley, as she undergoes treatment. Thanks for the opportunity to contribute for Valentine’s Day as a caregiver. However, I hardly feel qualified as a caregiver when I read and hear about the other courageous stories of those who are providing care to their loved ones. I was devastated when my dear wife Shirley was diagnosed with lung cancer two years ago. Strangely enough, it does remind me of Valentine’s Day. Sometimes we take love for granted until Valentine’s Day makes you experience it anew. But there’s nothing like learning your beloved has cancer and may leave you forever that makes you realize how deep your love is. Throughout my career, she was my partner, advisor, friend and true love as we traversed the world, dodging terrorists in Peru, evading the KGB on the frozen streets of Moscow for two tours, and perhaps living with me as I groused about the bureaucracy in Washington DC. We hoped for a more peaceful, happy and long retirement in her native North Carolina. I certainly feared the path we were about take. I tried my best to show my love and provide moral support, though my wife Shirley is incredibly strong and always has a positive outlook. She was already vowing to beat the disease as we awaited her first appointment with her oncologist. Her no-nonsense, optimistic attitude at times made me feel more like a care receiver rather than caregiver. Less than a month after her diagnosis, we experienced a complete reversal. At our first meeting, the oncologist, the incredible Dr. Jennifer Garst, explained that Shirley tested positive for a mutation of the EGFR – Epidermal Growth Factor Receptor. The jumble of medical words sounded ominous –- I thought the situation couldn’t get worse than the lung cancer diagnosis. Happily, Dr. Garst clarified that the test outcome meant Shirley was a candidate for “targeted therapy,” a relatively new form of treatment that requires special medication and periodic monitoring. We were simply elated by this unexpected miracle – no need for surgery, no radiation or intravenous chemotherapy with their nasty side effects. So I can’t claim to be much of a caregiver, except for ensuring she took her daily medication and occasionally nursing her as she coped with the few side effects from the drug (mild in comparison to the suffering of patients undergoing radiation and chemo). Most of all, I simply tried to encourage her own optimism. I am also immensely proud of Shirley for her work in the Lung Cancer Initiative. She decided that staying as active as possible would complement her treatment and channeled her tremendous energy into enlisting family and friends around the world to donate and/or participate in the LCI race, in addition to her other volunteer work for LCI. Through her work for the Lung Cancer Initiative, I’ve met some survivors and caregivers and I have been humbled and inspired by their stories of faith and courage.